Foreign students who want to study economics in Ukraine are welcome at national economics universities in Ukraine owned by the government of Ukraine for session 2019-2020. WHERE TO STUDY ECONOMICS IN UKRAINE? Economics subject has always been most important in Ukraine and many foreign students come to study economics program at economics universities in Ukraine. Economics course is very popular among the international students and that is the reason Ukraine pay high attention to it at all economics universities. Economics degree from Ukraine is accepted everywhere in the world and our graduates work in different countries in economics sector. This economics course in Ukraine is taught by professional staff with high attention as Ukrainian economics universities prepare the economics graduates for the whole world. All international applicants who have passed their secondary school may apply for the admission at economics universities in Ukraine.For masters in economics course applicants must have passed their bachelor degree from Ukraine or abroad. International students searching for their economics course in Europe always prefer Ukraine due to cheaper fee structure and living conditions in Ukraine for international students. Ukraine has always been a hub of international students from every corner of the word and that is the reason Ukraine always felicitated its international students in many respects. Economics degree at many universities in Ukraine is taught in English medium of instructions directly for those international students who are fluent in English. 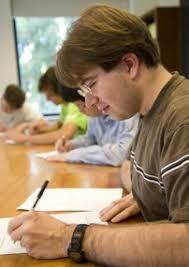 But there are many foreign students who are coming from the countries where English is not well spoken and understood so these countries nationals first year study at their preparatory faculty for 10 months and than upon completion of their language course in Ukraine they join the economics degree program. From Nigeria,Ghana,India,Pakistan,Cameroon,Namibia,Zambia and Zimbabwe international students join their economics degree program directly in English medium of instructions as in these countries English language is well understood and spoken. Students from Morocco,Algeria,Tunis,Saudi Arabia,Guinea,Gabon,Congo,Angola and some more countries join their preparatory course for the first year and they prefer to study their economics degree program in Russian medium of instructions. International students who have passed their secondary school are eligible to apply for undergraduate degree course in economics. Undergraduate interested foreign students may scan us their secondary school certificate with travel passport copy for the assessment of their eligibility at economics university in Ukraine. These documents are scanned in the Email of admission office and once we receive the documents required for admission it takes 2 days maximum to assess their admission eligibility. For masters in economics course applicants must scan us their bachelor degree too. All the applicants are sent an Email for their eligibility. Eligible students send their admission fee and their documents are sent to the Ministry of Education,Ukraine for the issuance of official study invitation for visa processing. There are sometimes foreign students who are not found eligible are requested to scan more academic documents for their faster admission process in Ukraine. Ukraine has made much easier the visa process without appearance at Embassy of Ukraine in most of the countries. Ukraine has established its national visa centers in many countries where foreign students submit their visa file and collect their visas from the same visa center without appearance at Embassy of Ukraine. Few countries nationals still apply visa at Embassies of Ukraine as the establishment of visa centers is in process in these countries like Zambia and Namibia. Further information regarding admission and visa process for certain countries is provided on request by admission office in Ukraine. Those all foreign students who want to pursue their economics course in Ukraine are free to contact us for their 2019-2020 admission process.